This time around, bridal stylist Desiree Hartsock is looking for love. Will The Bachelorette find ratings love and be renewed for another season? We’ll have to watch the ratings and see. Below are the ABC TV show’s ratings for the Summer 2013 season, the best way to tell if The Bachelorette is going to be cancelled or renewed for season 10. Final season averages: 2.0 rating in the 18-49 demographic with 6.75 million total viewers. 2.5 in the demo (-4% change) with 8.31 million (-4% change). Season averages: 2.00 in the demo with 6.75 million. 2.6 in the demo (+8% change) with 8.94 million (+8% change). Season averages: 1.95 in the demo with 6.61 million. 2.4 in the demo (+26% change) with 7.94 million (+26% change). Season averages: 1.89 in the demo with 6.38 million. 1.9 in the demo (+6% change) with 6.52 million (+6% change). Season averages: 1.83 in the demo with 6.20 million. 1.8 in the demo (-5% change) with 6.63 million (-5% change). Season averages: 1.83 in the demo with 6.17 million. 1.9 in the demo (+6% change) with 6.88 million (+6% change). Season averages: 1.83 in the demo with 6.10 million. 1.8 in the demo (-10% change) with 6.34 million (-10% change). Season averages: 1.82 in the demo with 5.97 million. 2.0 in the demo (+18% change) with 6.56 million (+18% change). Season averages: 1.82 in the demo with 5.89 million. 1.7 in the demo (-6% change) with 5.47 million (-6% change). Season averages: 1.77 in the demo with 5.73 million. 1.8 in the demo (+6% change) with 5.76 million (+6% change). Season averages: 1.80 in the demo with 5.81 million. 1.7 in the demo (-11% change) with 5.69 million (-11% change). Season averages: 1.80 in the demo with 5.84 million. 1.9 rating in the 18-49 demographic with 5.99 million total viewers. Season averages: 1.9 in the demo with 5.99 million. Year-to-year, the season debut of The Bachelorette was down 27% in the demo (vs a 2.6 rating) and down by 26% in viewers (vs 8.05 million). Reference point: The Summer 2012 season averaged a 2.5 rating in the 18-49 demographic and 7.50 million viewers. What do you think? 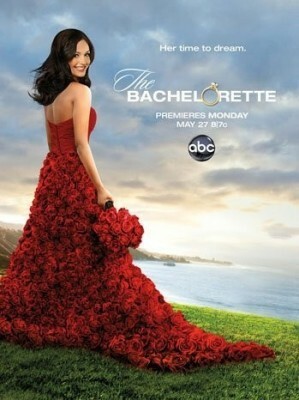 Do you still like The Bachelorette TV series? Do you think it should be cancelled or renewed for another season? Cancel the show and quickly. My wife watched the show. I saw maybe thirty minutes, felt my brain cells explode and my IQ drop, so I did something more stimulating and intelligent. the absolute dumbest crap on tv, I found my love making 100,000k and on exotic trips paid for by tv advertisers. WTF is wrong with America, this BS that you idiots put stock into, your weak, stupid and insane. Desiree is the most boring personality we have ever had as a Bachelorette. That is why the ratings are down. Boring boring. Juan Pablo wouldn’t look at her twice off the show. They are all pretend crazy over her, they just are playing the audience to be the next Bachelor. Even poor Zak yup even he is playing it up to get chosen. Have you seen the mother of his daughter. She is one of the most beautiful woman I have ever seen. All those dating/relationship shows are. Staged, phony as a football bat. They can’t tank too soon for me and millions of others! I am a 47 year old divorced mother of 3 and wondered if the network has thought of doing a series with someone in my demographic! Enjoy the show and watch with my daughter! I still believe in love!